If you’re from another country where English isn’t the official language and looking to immigrate into the United States you’ll need certified translation for your personal documents. And in order to get that, you’ll need to use the services of a translation company which provides the official certification that is accepted by the USCIS or any other state institution. This is where our marriage certificate translation services will be needed. 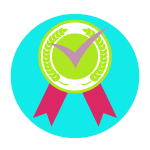 To cut it short, we provide certified translation for personal documents, including for marriage and divorce certificates. We have the lowest rates, you can have your translation at only $20 per page if your page has up to 200 words (most do). Your translation will be done in under 24 hours. We have specialized translators for just about any language and we work around the clock, including during the weekend. No rush fees, weekend fees or extra fees here! Any of the above may bring additional costs for you. 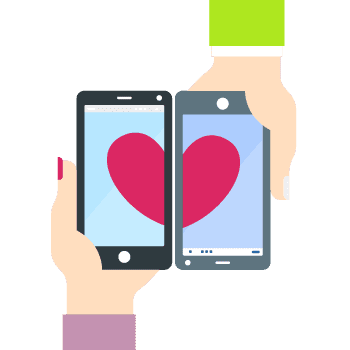 Obviously, the service is the same, but the price will be much higher if you’re in need of marriage certificate translation services in the above conditions. We know that when you come to us you need a quality translation done fast and at a fair price. This is why we’re working around the clock, including during the weekend. This is why we have a flat rate for any language, it doesn’t matter if you need to translate from Spanish, Mandarin or Bengali, the translation cost will be the same for any language. This is why we only charge you $20 per page if your page is under 200 words (if there are more words on the page, a cost of $0.12 per word will be charged instead). This is why USA Translate has the lowest rates for translation in United States. What will be a translation good for if the office that requires it doesn’t accept it? When it comes to USCIS you need to submit a certified translation done according to their standards. There are certain conditions to be met in order for your translation to be accepted. We do just that. All our services come with the insurance that our immigration translation will be accepted by any USCIS office. It doesn’t matter which service you need, it can be our marriage certificate translation services, or a translation for a birth certificate or your medical records. 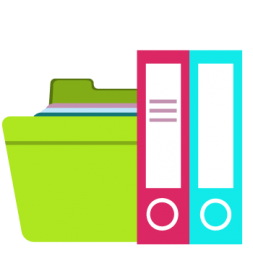 If you need it certified, then it will be accepted by any USCIS office in United States, as they only require digital copies, so you can send them your translation by email. We know that clients are looking for 3 main things: quality, fast turnaround and low costs. You may find it unbelievable, but we manage to hit all three with our services. If you’re looking for a rush translation, look no further. We can do your translation in under 24 hours. 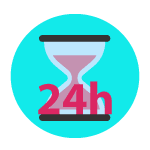 We guarantee that it won’t be 24 hours from the moment you pay the invoice until you receive our email to review the names used in your document. As soon as you review the names and the dates and give us your acceptance, you will receive your certified translation in a couple minutes. Need to have your translation even faster? Tell us about it and we’ll see what we can do! Each company charges whatever they feel like when it comes to certified translation. We’ve seen prices starting at $25 per page and going up to $60 per page. But you don’t have to fall for that. Use our marriage certificate translation services at only $20 per page if your page has under 200 words. If you’re not sure about the word count, get in touch with us by live-chat, send us your document (a picture of your document taken with your smartphone camera will do) and we’ll count the words for you. In under 5 minutes you’ll receive an email from us outlining the word count, our price and our delivery time. And by the way, questions and quotes are free! 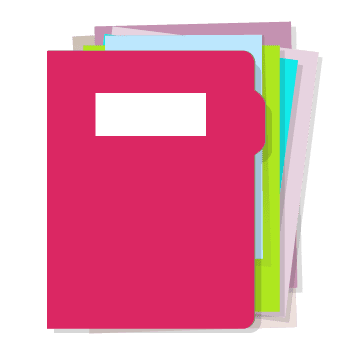 Is there a marriage certificate translation template that you use? your marriage certificate translated, looking exactly like the original. We do our best to make it look like the original but it depends on the quality of the scan or photo of the original that you send us. So make sure that you take a good quality photo of your marriage certificate and send it to us. a certificate of accuracy, signed and stamped by us which states that the translation is a true reflection of the original. You will receive the 2 documents by email by default. If you need hard copies (although USCIS does not require hard copies as they take digital documents now) make sure you mention this along with your address. We will send you hard copies by mail for only $10 more. What if I don’t have a marriage certificate? Marriage certificates that are usually translated are a comparatively new development. They were not always there, to begin with, and you need to have a marriage certificate translation for immigration purposes. What if your document is not an actual certificate of marriage? What is the solution? If you find yourself in a situation where you cannot get the marriage document turned into a marriage certificate because the document is too old, you do not need to worry. You will get your old and not up to date marriage translation from a US translation agency. Once you have received your translation, you will take your document to the US embassy and ask them to attest the document. Once the United States embassy attests to the document that you want to send to USCIS, you will have an easy clearance from the immigration office. That is the reason you should get your document attested by the US Embassy. 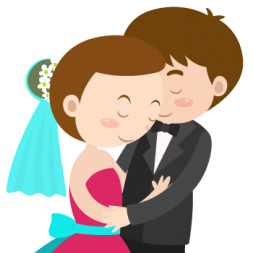 Why Hire USA Translate for Certified Marriage Certificate Translation? Although you may be a multilingual or have a trusted friend or associate who can translate, it is not advisable to decide to do that when translation of marriage certificate or official paperwork is needed. Such private and important translations are rarely fit for official use because they lack the suitable certification report and notary public permission. 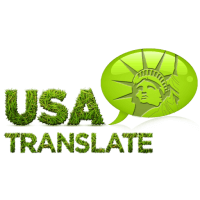 Most official translation agencies require that certificate translations be done by an authorized professional translation resource like USA Translate. The information included in official documents including marriage certificate is unique and should be handled with the highest level of responsibility and privacy. All customer data is stored on a secure site. We do not follow or otherwise recognize visitors to our site. No data that is shared with our company and website, from start to end, will ever be shared with and given to any third party. It is our paramount concern that we provide you with the most reliable, secure, and confidential marriage certificate translation services available. Our certified marriage certificate translation services are valid and accepted in legal authorities and institutions like embassies, passport office, courts, foreign universities and colleges for immigration and university admission in foreign countries. We don’t only translate marriage certificates, we also translate any other personal document you might need for USCIS, including marriage and divorce certificates, police records and passports, but also diplomas, degrees and academic papers. Get in touch and ask for your free quote!